With their infantile personas and niche diet of tubby toast and custard, the Teletubbies are perhaps not instantly synonymous with ‘responsible parenting’. But crack open the champagne because its time to wet the Tiddlytubbies’ antennaes! Yes, the Tiddlytubbies. 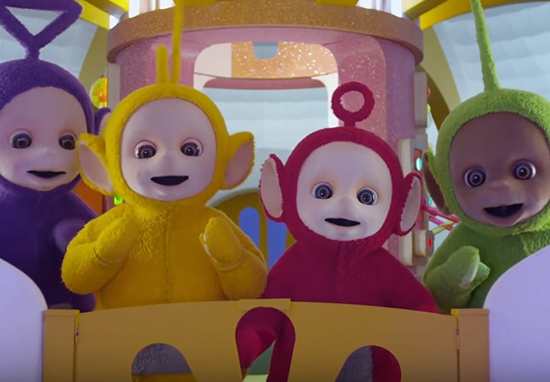 Adorable sleepy eyed pint-sized Teletubbies who apparently are now under the loving and capable care of Tinky Winky, Dipsy , LaLa and Po. The babies are called Mi-Mi, Daa Daa, Baa, Ping, RuRu, Nin, Duggle Dee and Umby Pumby. I foolishly presumed that the Teletubbies were babies anyway so this revelation has left me absolutely stunned… Apparently they are fully developed, mature beings who want to pass on their legacy. But between who? And how?! 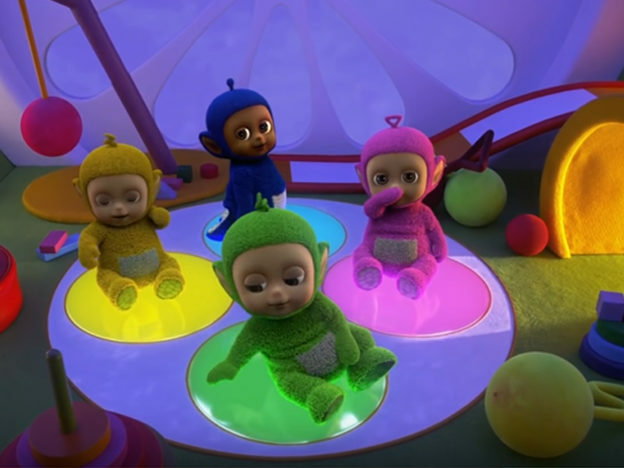 The Tiddlytubbies seem to have all they need to thrive under the eye of the all-seeing, all-laughing baby sun. They have a musical, futuristic bed that spins round and an assortment of toys, including a mini-toy noo-noo to ride. They even appear to have a sensible safety gate to their nursery which should stop them getting into too much mischief.